The term “Mommy Makeover” refers to a group of cosmetic and plastic surgery procedures performed at one time. 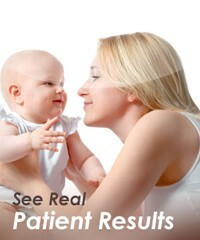 By combining a series of cosmetic and plastic surgery procedures, a Mommy Makeover restores your post-pregnancy body. One of the key reasons why many moms choose to get a mommy makeover is because the body is not responding to diet and exercise after the baby weight has come off. For many moms — especially those who have had multiple children — loose and sagging skin around the abdominal wall, excess fat around the thighs and back, and droopy breasts are almost impossible to correct with just a healthy lifestyle. Surgery may be the most effective way to get your pre-pregnancy figure back and enjoy lasting results. A Mommy Makeover is best for healthy and active mothers struggling to adapt to their post-pregnancy figure. We do not recommend a Mommy Makeover if you plan to have more children—as with any major weight fluctuation, the results and improvements are undone by a future pregnancy. Make sure to tell Dr. Kent if you think you might want more kids in the future. We advise that you wait for at least six months from giving birth or breastfeeding to undergo a Mommy Makeover. In these first few months, your body fluctuates and continues to change. Many times, we recommend that you try to keep your weight steady for six months. Many patients who request “mommy makeover” surgery are candidates for breast and abdominal surgery, as well as liposuction. When planning a mommy makeover procedure, one has to be concerned with the amount and length of surgery. The longer the procedure, the higher the risk for complications. Therefore, I often use a first assistant with excellent suturing skills to help me close all the incisions. This can shorten the operating time by several hours. Furthermore, I limit the amount of liposuction I perform in conjunction with a tummy tuck, which can reduce the risk for blood clots in the legs. We also routinely employ safety measures that decrease your risk, such as the use of sequential compression garments, maintaining body temperature, early ambulation, and antibiotics. If you have any questions regarding the safety of mommy makeover surgery in Tulsa, please contact us. We look forward to speaking with you. It is important to go into your surgery with realistic expectations. Our goal is to make you look and feel your best. A Mommy Makeover may boost your confidence, but it cannot serve as a cure-all. A Mommy Makeover should be about you—we do not recommend going into it with unresolved or lingering emotional issues. It is not advised to plan your surgery during a time with of lots of change. Having a balanced outlook on both your expectations and surgery will help you be more satisfied at the end and with the results. Because all mommy makeover patients are busy moms, often with young children, there is a concern over how quickly they can resume child care. Many times help will be necessary for the first 5-7 days after surgery. Usually after the first 7-10 days, most mothers can return to performing most of their child care activities. Although hard to do, adequate downtime is essential for a successful recovery. Depending on your surgery, Dr. Kent will advise you on how much downtime to plan for. Trying to do too much too soon hinders your recovery. Some moms actually prefer to spend the first night in the hospital to ensure peace and quiet and recover away from the often hectic environment of home life. When a tummy tuck and breast surgery are performed together, I also feel that an overnight hospital stay is advisable for most patients. During the consultation, we will discuss this option. An overnight hospital stay can easily be arranged, the cost is reasonable ($425), and several of the facilities we use offer this option.